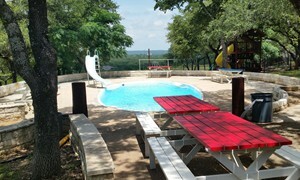 Beautiful facilities in the Texas Hill Country setting. 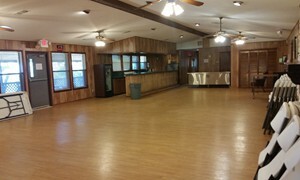 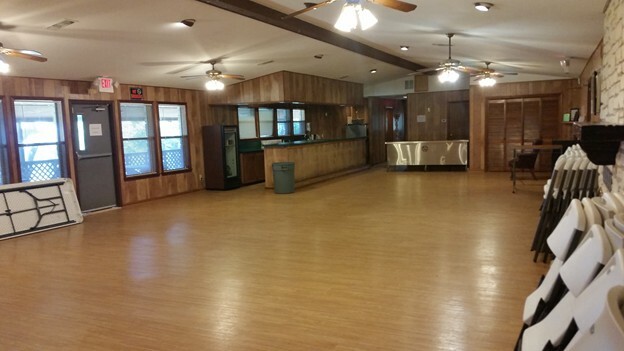 Large hall with full kitchen, bar, coolers, attractive tables and chairs. 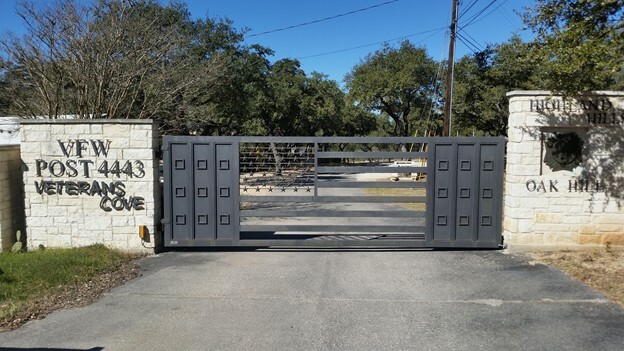 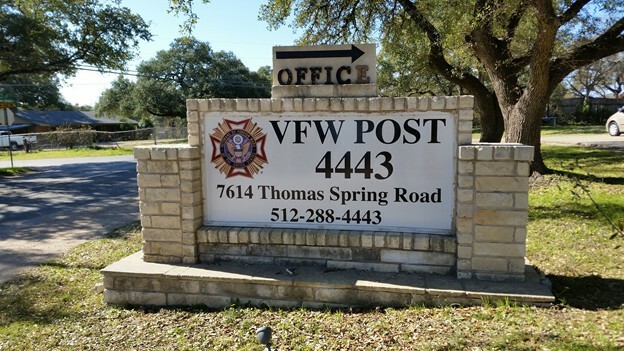 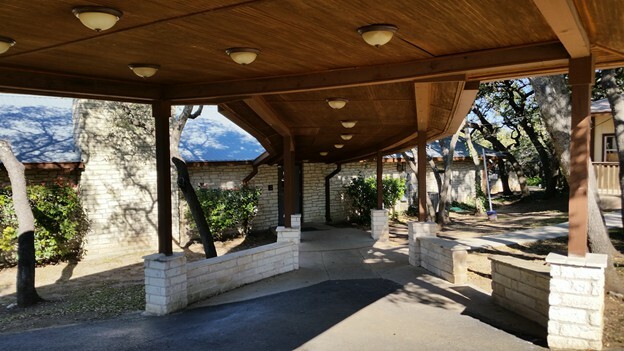 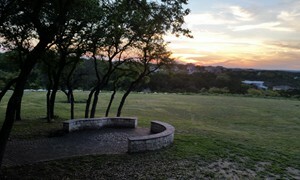 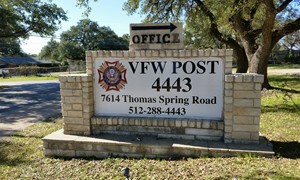 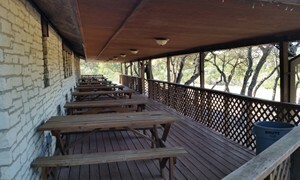 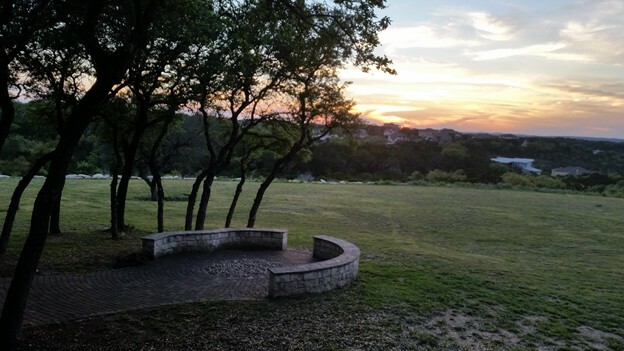 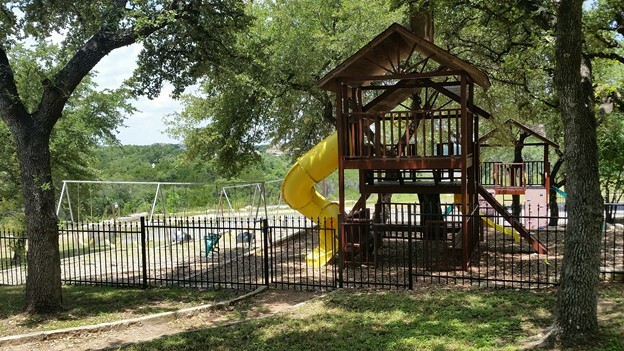 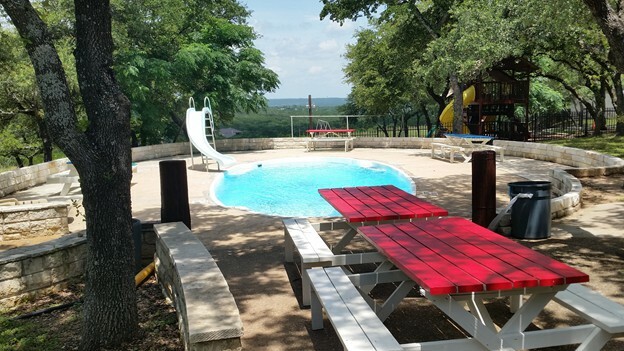 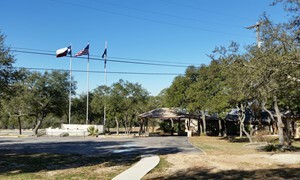 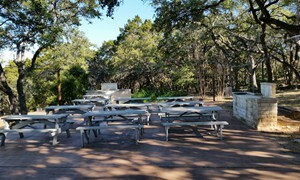 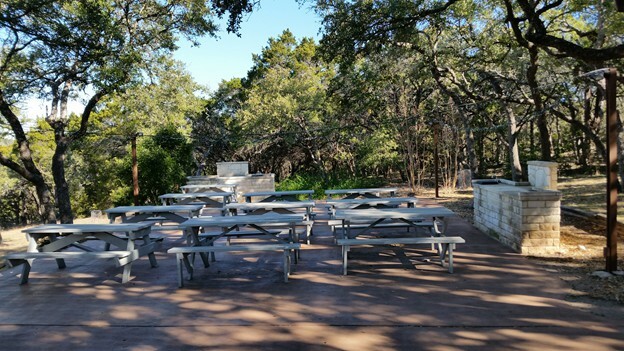 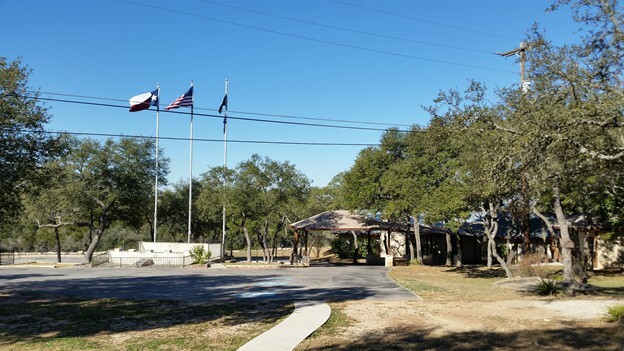 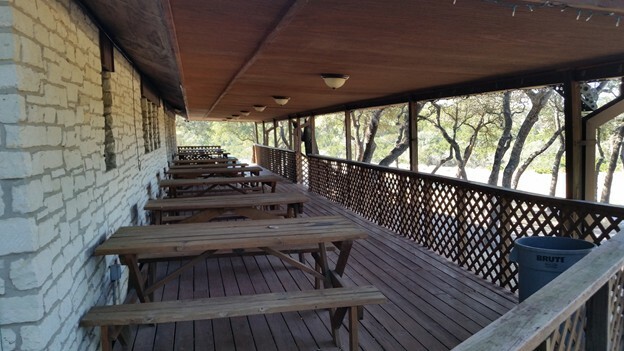 Other facilities includes a 100 foot covered veranda with a beautiful view of the hill country and several picnic areas. 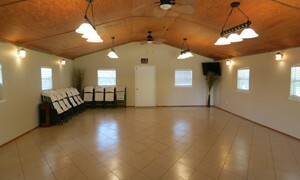 Other facilities include a smaller meeting facility with pool and patio. 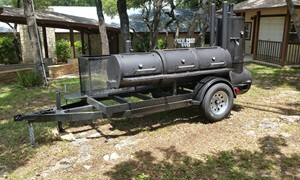 Propane grills are available upon request. 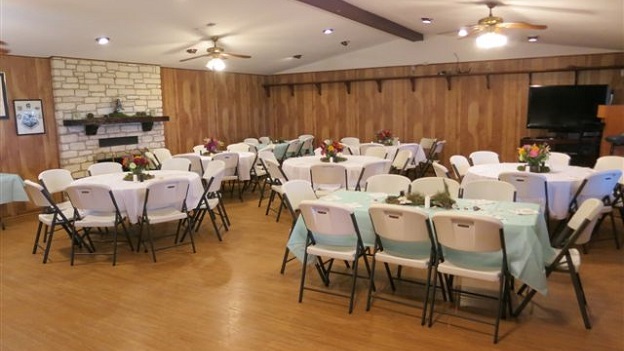 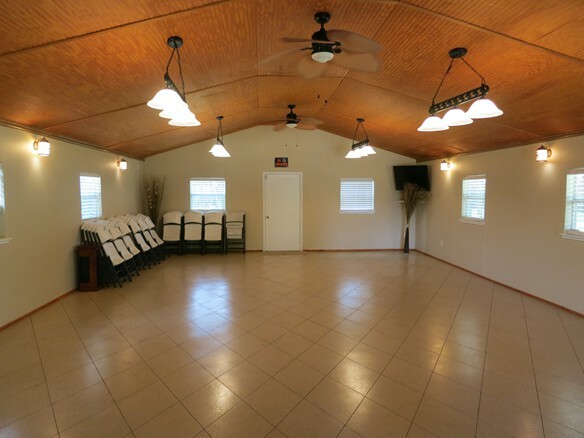 The facilities are for rent at very competitive prices for weddings, receptions, memorial services, holiday parties, office functions, graduations, birthday celebrations and reunions. 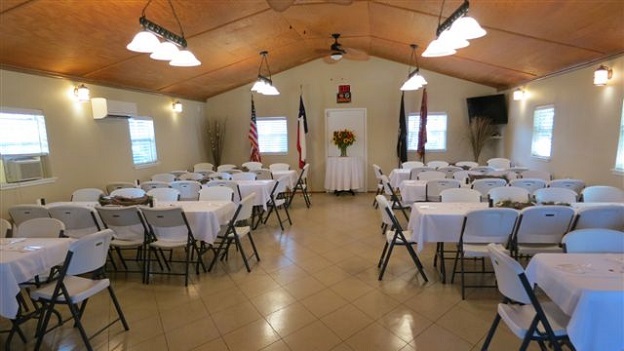 The facilities are available to the entire community as well as civic organizations. 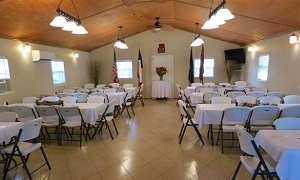 Rentals include a day to set up and decorating prior to the event. 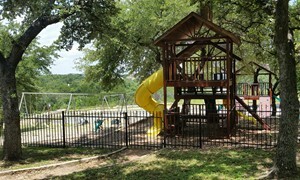 For more information and costs, please call or send us an email. 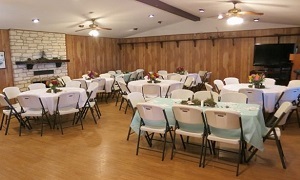 For hall availability please see the Event Calendar. 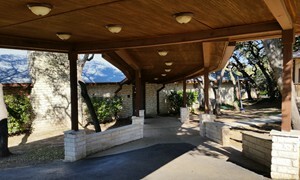 Jean Susaraba with your payment.